A tool can either make it or break it! While there are ample of project management tools out there, it is quite a big task to figure out which one is the best fit for you and your team. Thorough comparison is all it takes but before you do that, you should know what things you need to check in a software. Right? To start with, two crucial things can be – the type of projects you’re going to manage with the software and your team’s work activities. 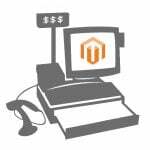 Moreover, your budget to pay for the software puts a huge impact on your decision. 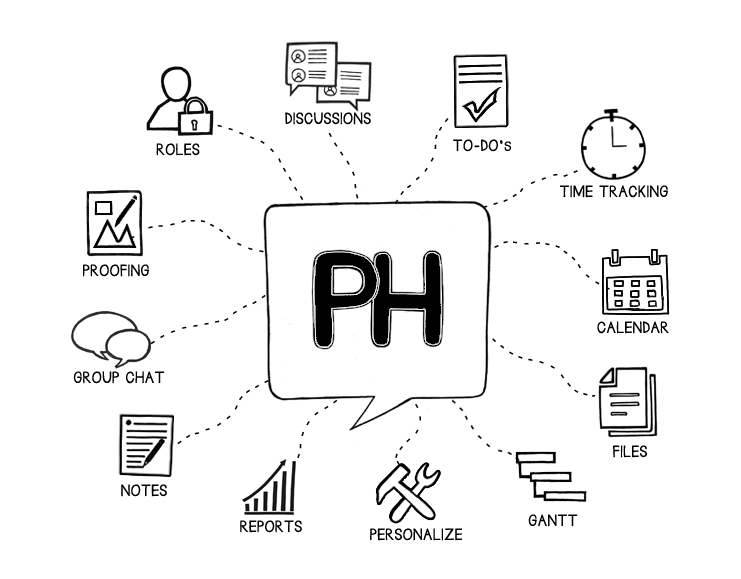 Answering these questions will help you simplify your hunt for a perfect PM tool. 1. Basecamp: The headmost and the popular one! With over 6 million active users, Basecamp gives you a sense of reliability and trustworthiness. Big brands including WWF, Adidas, FOX sports, National Geographic rely on this tool to manage their work. Considering the features it offers, including time tracking, overview, calendar, file sharing, etc. it is more of a simple and basic project management platform. If your project management needs are just to keep things in order, than this tool is the right pick for you. However, if you are looking for some advanced management capabilities, then you might need to look for some other tool. They also offer weekly online classes where you can learn and clear your doubts regarding the usage of this tool. To begin with it, take the free trial. 2. ProofHub: Admired by one of the biggest global brands including Norwegian Airlines, University of Michigan, NASA, Saatchi & Saatchi, US Navy, and many more. This central workspace lets you do everything from planning, to organizing, to collaborating, to project delivery. So if you’re looking for an advanced project management tool with ‘Minimum Learning Curve’, then ProofHub is made for you. You have all the features including timesheets, calendar, Gantt charts, notes, etc. in one place. The interface is simple yet pleasing to the eye. The exclusivity of this tool is its inbuilt group chat, which you will hardly find in any other software. Further, reports with burn up charts, roadmap and resource utilization with graphical representations makes it an ideal pick. More awesomeness? Well, they take customer service quite seriously yet are fun to talk with. Plus you have white labelling for account personalization and multiple languages to use it the way you want. All I can say is – It will surely catch your attention. You can easily get started through its 60-day free trial and can choose to continue after that through paid plans. 3. Wrike: Loved by some of the biggest names in the market including Hootsuite, Stanford University, Adobe, Ecco, etc. Wrike presents an elegant interface with fast and robust working. Its real-time activity streams and instant email notifications lets you stay in sync with your team and projects. You can create custom user groups and can share files selectively to control access over projects. Further, there’s this Burndown Chart that’d help you track the resource utilization and the performance of the team. For those with the need to create duplicate projects, this tool will let you do that within a click, saving your time and effort. 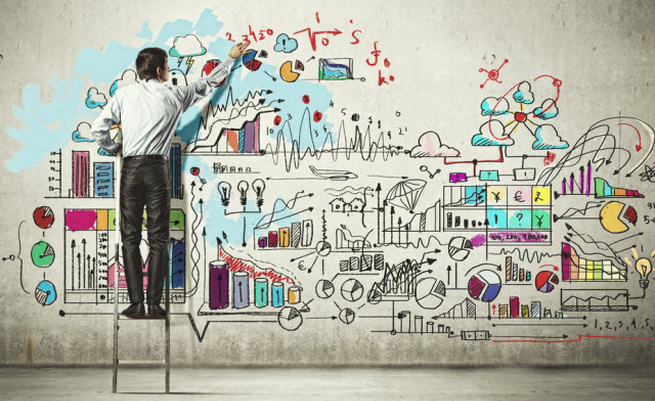 Time tracking, calendar, visual dashboards are some of its key selling points. 4. 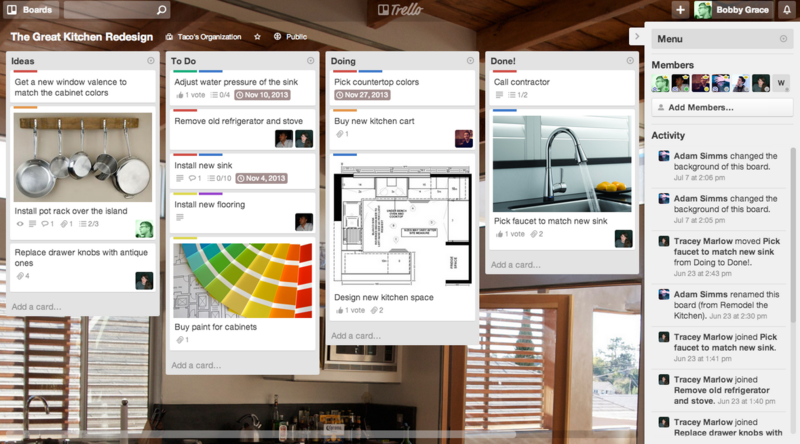 Trello: With a quite impressive client base that includes Kickstarter, Spotify, Tumblr, Freshdirect, etc. 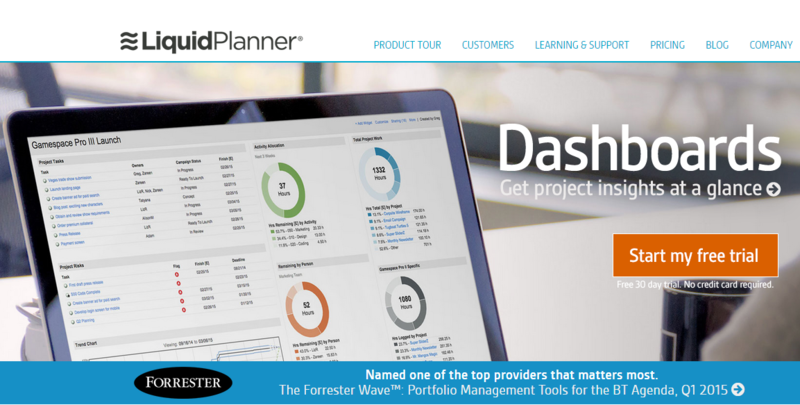 this project management platform is a popular choice. It’s simple yet feature-rich interface gives you the power to view everything about your projects in a single glance. It works on a system that revolves around lists, cards and boards; you can drag and drop cards between the lists. The best thing about this tool is that it’s free of cost. You can simply sign up and start its usage for as long as you want. File uploading, commenting, checklists, email notifications, labels, etc. are the main highlights from its list of features. For those who wish to have extra and advanced administrative controls, can go for “Trello Business Class” which is available through annual payment. With this, you can create boards for organizational private and public access. 5. Asana: Being loved by popular names like Airbnb, Pinterest, Dropbox, UBER, Foursquare, etc., Asana makes a call for one of the best options available out there. Emphasizing on “Teamwork without email”, this tool highlights features that’d enable you to manage teamwork without losing the pace. You can create projects, add tasks, comment over them, set due dates, attach files and much more. However, it is more of a task management system that allows you to plan things which are to be done within a project. Privatizing projects and teams is another crucial aspect of this tool. So you need not to worry about your sensitive data. Check out Asana for free or avail its premium plan in which you get a dedicated support manager who’ll assist you whenever you need help. 6. Workfront: Previously known as Attask, this platform is used by world leading companies such as Emerson, Sony, Cisco, Dell, etc. It supports everything from team collaboration, document management, resource management, workflow automation, time tracking and more. From IT teams, to marketing, to service teams, to everyone; can use its powerful features to maintain work and achieve success. 7. Activecollab: Renowned businesses and organizations such as Berkeley College, Universal, Nokia, BBC, etc, are on its client list. They offer flexible pricing plans to suit small to large enterprises. To help you keep your teams on the same page, it offers features like file sharing, discussions, etc. Its handy timeline view lets you take a preview of all your projects in no time. When it is about project organization, it enables you to set tasks and manage them through labels, priorities, and due dates. To track time and costs spent on the project, you can utilize invoices, payment reports and summaries. When it is about file sharing in real time, Activecollab keeps you going easily. You can sign up for a 30-day free trial to see how it goes. 8. Teamwork: Well-known companies such as Forbes, Lenovo, Honda, Spotify, ebay, Pepsi, etc. makes it a pretty cool name on the list. As the name suggests, teamwork is developed to get things done together. It’s Dashboard gives you a quick overview of all the recent project activities. Through its tasks and task lists you can manage actionable items easily. For planning, scheduling and visualizing your projects, it offers Gantt charts and its Lockdown feature lets you set privacy for project access. Other than that, there is time tracking, file management, notebooks, messages, etc. The usage for this tool is free forever, however, you can upgrade anytime you want. 9. LiquidPlanner: Market wizards including Fossil, Indeed, Jockey, Amazon, etc. 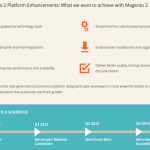 are using this project management platform. Whether it is scheduling, planning, collaboration, time tracking, reporting; this tool has every feature to fulfill your needs. One of the key features that makes it stand out of the crowd is Realistic Estimation; give it a try and you’ll get to know how it solves the problem of hidden risks in projects. To get on the ropes easily, you can take help of videos, webinars, help guides, resources, etc. It also offers a 30-day free trial, like majority of the tools in the list. 10. 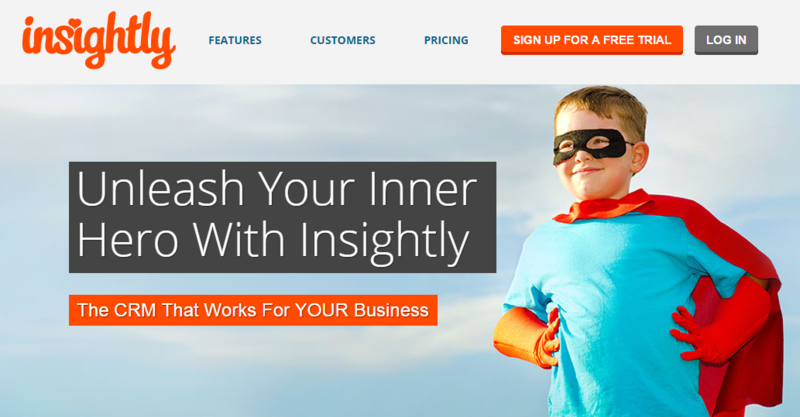 Insightly: Perhaps the only tool in this list with both CRM and project management capabilities. Other than the basic reporting features, this tool highlights the address book function, which fetches new contacts from your email and creates a knowledge of who knows who through its advanced email analytics. So there are less chances of confusion as you can get things done by right people in your project. Considering your needs, you can analyze which of these tools is worth giving a try! Personally, I would recommend you to try 2 or more tools for at least a month, and then give your verdict. I would love to hear your experiences in the comments below. Don’t forget to share!